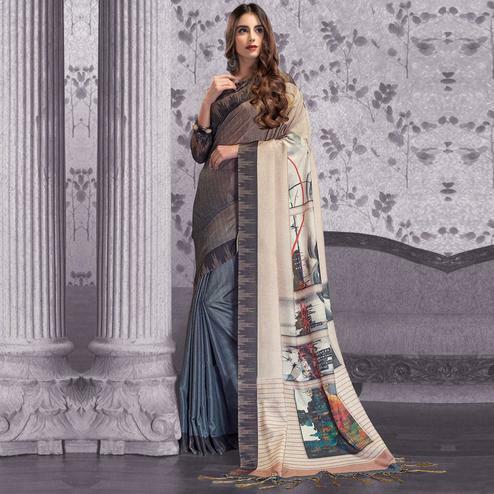 Add this brown - sea green saree to your ethnic closet before it goes out of stock. 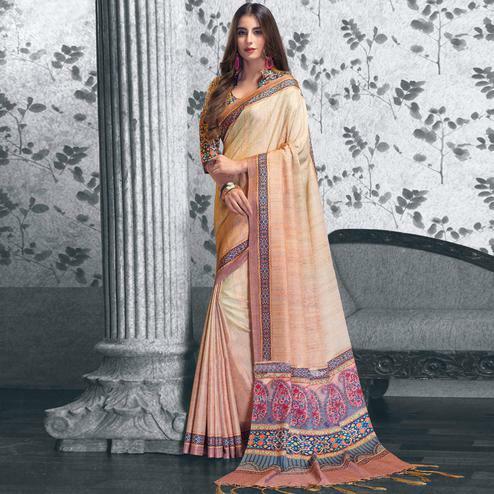 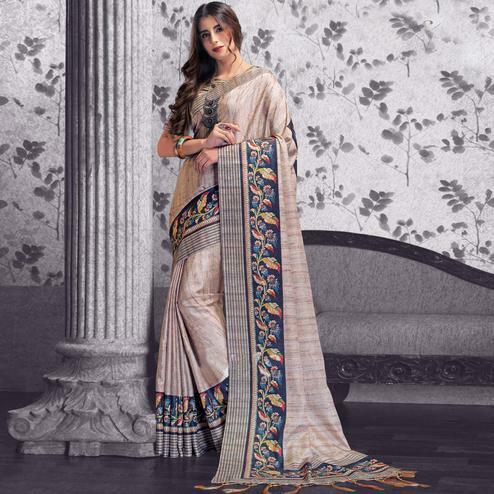 This saree is made from bhagalpuri silk fabric & enriched with abstract print work. 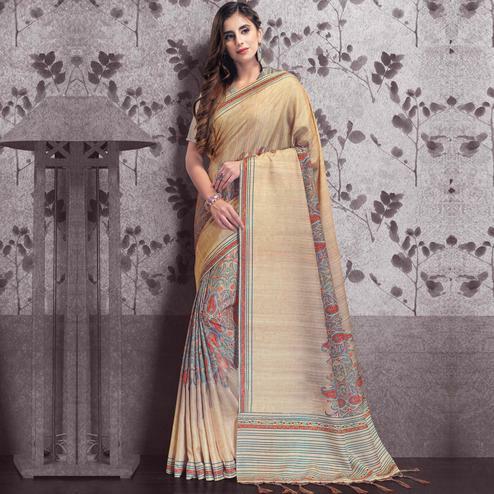 Saree comes along with floral work silk blouse piece. 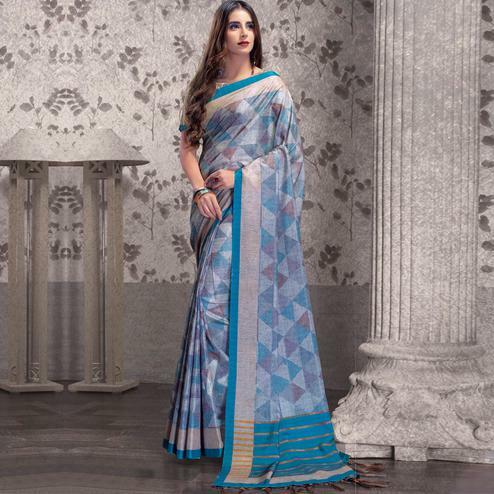 It's a perfect saree to wear for casual outing & social get together.